Our family always stays in town for spring break. This year, while many families were hitting the beach, my kids spent the week learning to code at a Codeverse camp. I was lucky enough to be invited to stick around for camp and observe the experience from the eye of an educator and as a mom. I spent my childhood and adult life watching my brother code. He started as a young child and spent his entire career coding. Spending the week watching my kids acquire the same skills left me feeling a sense of pride. Being in education and the ed tech world for 19 years, I have learned first hand why coding is such an important skill for children to learn and the Codeverse camp was the perfect jumpstart down this journey for my kids. Coding is a social experience for children. Many parents feel having children’s eyes on technology is detrimental to socialization. Yes, kids watching YouTube all day isn’t healthy, but having kids working to write code, side-by-side with their peers is beneficial in many ways. I saw this first hand at coding camp. Within the first 30 minutes of camp, my 8-year-old daughter was nestled up next to a new friend, problem-solving as they began designing and coding their very own games. Emily’s new friend was stuck on an if/then statement and the two were talking it out, step-by-step. They solved the problem and an instant friendship was formed. My ten-year-old is more on the introverted side and got busy right away building his game. He was determined to build a game that was tough enough to stump the instructors and his peers! Throughout the week, he’d work to add new elements to escalate the game to a higher level. It became a running joke with all the kids and the instructors - who could get the high score and how could Jacob make it more challenging. Talk about building community! Coding teaches perseverance. During the camp, I switched between wearing my teacher hat and my parent hat. One of the first things that struck me was the way the children reacted when they were stuck and how the instructors guided them through various roadblocks. A few children stayed in their own space, navigated back to the tutorials and solved the problems on their own. Other children got emotional and showed outward signs of frustration and the incredible staff stepped in to guide them step-by-step through their frustration. I couldn’t help but think about the parallel to a kid working through a tough math problem or sounding out a new word. Perseverance is one of the most difficult skills to teach children, but in my mind it is one of the MOST important skills. In the working world, the most successful people I know are the ones that can face a problem, work through it calmly, reach out to others for help and eventually solve the problem successfully. Coding teaches kids perseverance in a fun and safe environment. 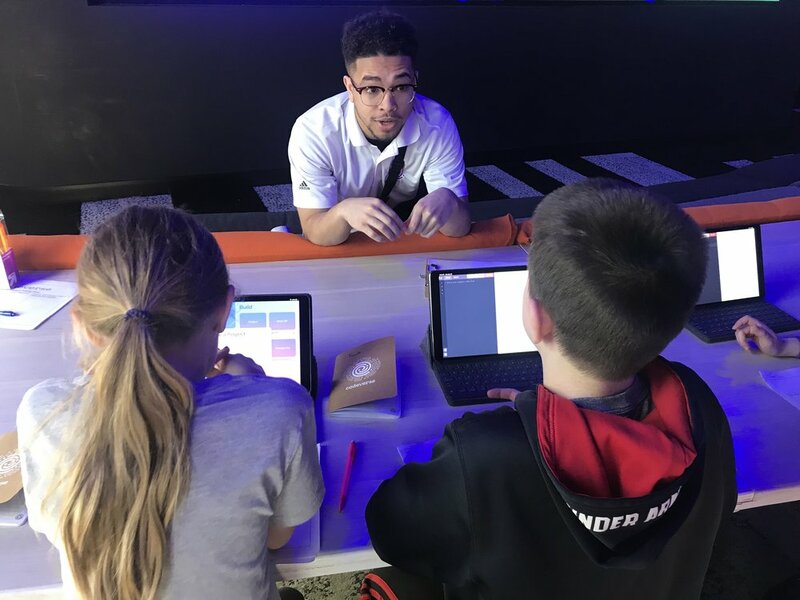 At Codeverse, my kids were able to practice that skill over and over again until they presented their final product at the Game Showcase on Friday. During that showcase, the instructors thoughtfully guided the students to not only share their game but also share out the most difficult obstacles they faced. The beauty of coding is that it is not only about the final product, but it is also about the problem-solving to get to the finish line. The kids were excited to show off the game and as a parent, I was excited to hear about the journey. Coding teaches cause and effect. One element of the camp was a 3-D printing project. The instructors brought the students over to a computer lab to design a 3-D nameplate. Once the instructor finished a short mini-lesson, he released the kids to start working. Step-by-step, the children began creating their nameplates. 3-D printing is about building a product, layer by layer, step-by-step, following certain logic to ensure the creation comes out in one piece, looking the way the students imagined in their head. Talk about a mathematical-logical and visual exercise for the mind! I loved the big picture message this exercise taught my children about cause and effect. Every decision they made within the design software mattered and had an impact on their final product. Follow the logic, you create a masterpiece. Disregard the small but important details, and your product may not be exactly what you imagined in your mind. I left the camp feeling extremely grateful that my kids got to experience a week of coding, creating and problem-solving with new friends. But something was tugging at my heart. Every child deserves this experience. All kids deserve the opportunity to learn to code, just like every kid deserves the opportunity to learn to read and write as well as dive deep into math, science, social studies, and the arts. I’m grateful that Codeverse has a dream to teach a billion kids to code because, with that dream, our children will be lead with perseverance as they create solutions to the problems they will face together as a generation. Interested in your children experiencing Codeverse? Sign up for a free class here. Not in the Chicagoland area? There are many wonderful online coding programs available for teachers and schools, including Code.org, Code Avengers, Code Combat, Codesters, and CodeHS. Carrie Conover has dedicated 19 years of her life to the field of education – first as a teacher in the Chicago Public schools, then leading educational technology learning initiatives at eSpark Learning and Discovery Education, and now as the founder of educators 2 educators. 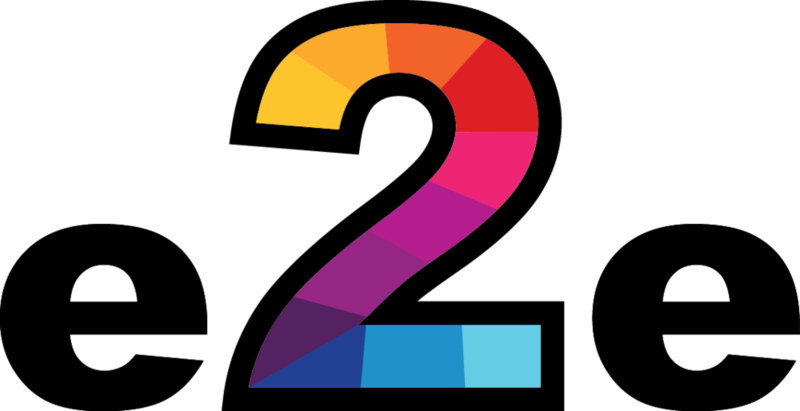 e2e was established to inspire, motivate and connect educators. Carrie consults with education companies, connects teachers and educators through e2e’s online presence and speaks at schools and universities. Interested in connecting with Carrie? Schedule time to connect here.